Generally common and available up through MS66, but in very high demand. Variety Attribution: Obverse-Center dot on neck. Date is 8 1/2 mm with a high 3 that appears broken in the center, with upper and lower halves barely joined at an unnatural angle. 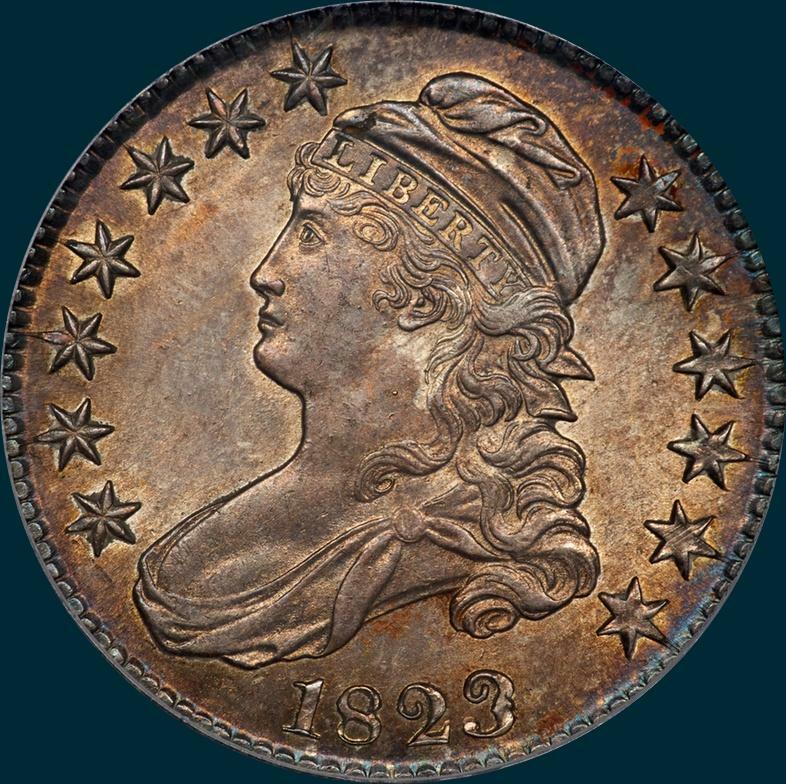 This 3 also leans to the right, the only 1823 variety found that does, all other 1823's have threes that are upright or lean to the left. Also the three has a tight upper curl with a square end and the top seems too large for the bottom, which is rather flat and open. A small punch has been sunk in the die at the junction of the two halves of the 3 to strengthen the connection. 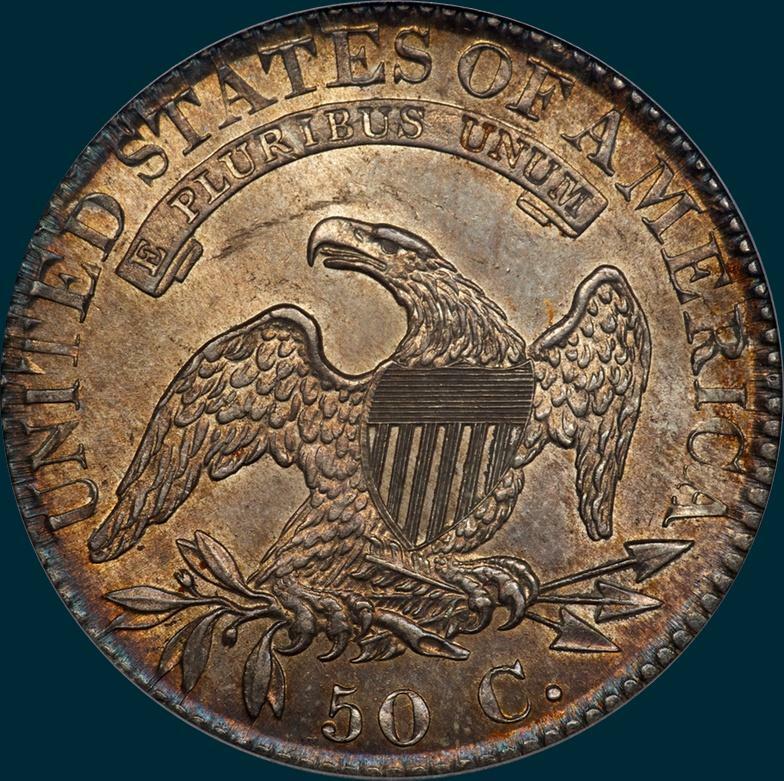 Reverse- 50C is 2 mm. and 50 leans to the left. Arrow to A is 1/2 mm. Right sides of D-E are in line. Two arrowheads are close and attached to shafts above.